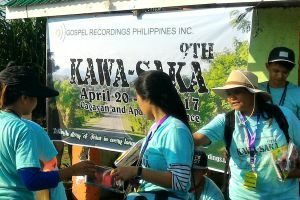 I visited the Philippines recently and found the team very excited about their short term mission trip to the Cagayan Valley - the ninth Kawa Saka. Sixteen people had travelled from Manila and Laguna, making it the biggest Kawa Saka ever! Late last year the team recorded messages in four languages spoken in the area. They had the joy of seeing a new congregation form and a disbanded congregation reform during the translation and recording process. Previously there was no church amongst speakers of the Atta Pudtol language, and the Atta Pamplona congregation had not met for over a year. After much prayer for these people, the church in the town of Pamplona now leads these new churches. Church people greeted our recording team as an answer to prayer - and now they added a further fourteen people to the Kawa Saka team. The Kawa Saka team, now numbering thirty, sought to minister holistically to these people and show God's love for them. They provided meals to the local people as well as the team, feeding over 1,000 people during the course of the visit. They distributed shoes (500 pairs), clothing, hygiene packs, and food parcels donated by generous people and churches in the big city. Fun was an important component as they ran programs for children and adults. They played games and shared food as well as talked about their faith. At night they showed movies on a big screen and again shared their faith. 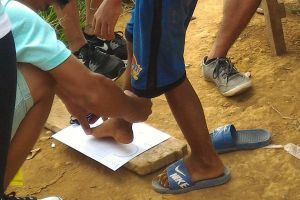 The team gave Saber players and flipcharts to churches as well as CDs and pocket books to individuals. They also played and distributed the recordings made last year. The GRN team said it was the best Kawa Saka ever held. The involvement of the Pamplona Church was a new and exciting experience for them. They learned ministry skills and had opportunity to reach out to their neighbours. The team hopes that some church members will join them again next year for Kawa Saka 10. 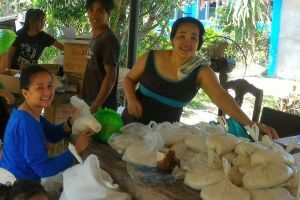 The team from Manila and Laguna were enriched by serving alongside the Pamplona people. They returned home enthusiastic and wanting to come back next year. Pray for these people to use their newly learned skills and experiences in their own churches and to encourage missionary work and prayer. It was a real joy for the team to worship with and encourage the two new congregations which live in remote areas and do not have weekly services. They were happy to have the recordings to use on the weeks when no preacher is sent. Please pray for these new Christians to grow in their faith and Christian maturity. 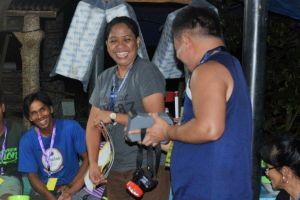 Pray for Jurine (Director), Mary Ann (recordist and admin), Francis (trainee recordist) and Hannah (admin trainee) as they seek to tell the story of Jesus in the languages of the Philippines. I am so heartened to see this team working together well after a very difficult start to 2016. They were on the verge of collapse, but now they are excited about the future. They are preparing for their next recording trip, preparing to tell people in Manila and Laguna about their work, and making plans for Kawa Saka 10. I give thanks to God for this team and for the work he has done through them in Cagayan Valley.